What is a debriefing? Does it involve briefs? What is the meaning of briefs? What does it all mean? Think of Alonso, you guys! Think of his nether-bits! Won’t they get cold? And what if he’s more of a boxers man? Will this even apply? I mean, I’ve never seen fireproof boxers, but who knows? F1 tends to get the bleeding edge of everything before it trickles down to the rest of us. Perhaps someone’s invented super-flameproof FIA-rated Carbon-X boxers with little bunny rabbits on them? 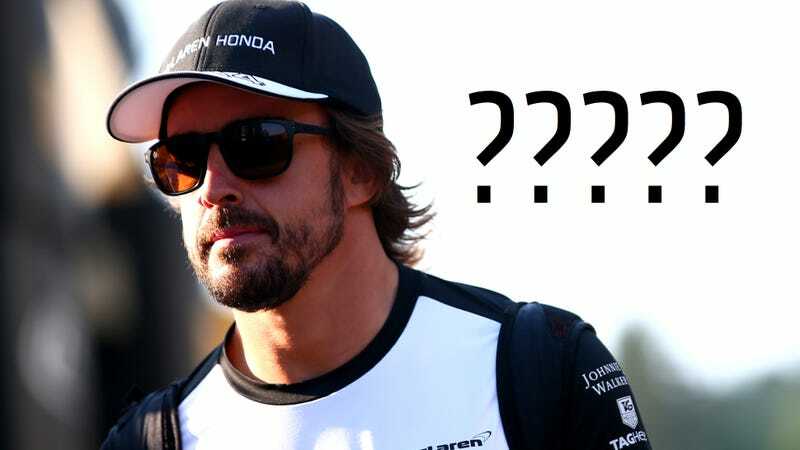 Or what if he’s Commando Alonso, Combat Officer First Class of Freeballin’? Have we not considered this possibility? What is a [literal] debrief if there’s nothing to debrief [if we’re being punny for the sake of trolololo]? Embrace the trolling, McLaren. Embrace it and unleash your inner child on the Tweet-ternets.